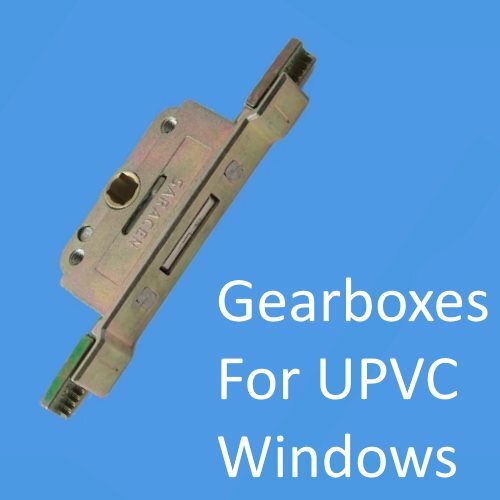 Gearboxes For UPVC Windows are the centre part of a three piece lock and can just be replaced on their own. It’s unusual to have to replace the rods or shootbolts as its normally just the window gearbox that would fail although we do stock most of them if needed. The lock is held in place with retaining screws along with the window handle bolts. All of these will need removing to take the lock out of the window. These are an older style of window lock but are still very popular today. Whilst some espag locks have been made obsolete we can usually offer an alternative which can be fitted with a touch of alteration. The correct measurements will make your job easier as you will need to line up with the window handle, you will need the backset, length and to know whether its offset or inline. Click here for our guide that will help you work all this out. 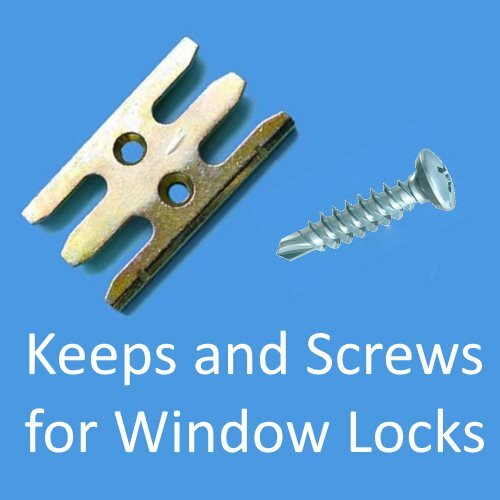 Changing your window lock should be an easy swap over however missing screws and keeps can slow the job down. If you have an obsolete lock then you may need to get extra screws or keeps to make the alternative window lock fit. All the extra bits you need to repair your windows are available here. 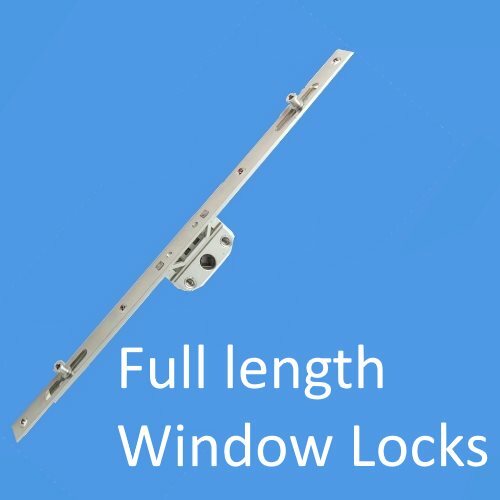 UPVC Window locks for all types of UPVC windows. The locks on this page fit most types of UPVC window but it is advisable that you replace your lock with one of the same type and model if it is still made. Handles and Hinges stock 1000's of window locks and can usually find an exact replacement ( if it is still made) or offer an alternative that will fit your window and save you pounds on fitting a new one. If you are unsure of the lock you need or even if you just need some reassurance with your lock choice. Either call us on the phone (the old fashioned way) or email us with a photo of your existing lock. Some of the major Manufacturers of hardware are listed below but if you dont see your particular make please contact us. It was not unknown in the window industry for Manufacturers to make parts for companies and the company put there own stamp on it. A little bit like some of the big Grocery stores do.